$10,000 request for German Genealogy research? How do you do it? wrote: Ten thousand dollars to someone on the internet. wow. How do you do it? Karl-Michael Sala replies: Yes, & how do we have the confidence to request large-size retainers from total strangers who live thousands of kilometers/miles away across the ocean & reside on other continents? As one client emphatically stated: “With flair & panache!” OK, it was by electronic funds transfer (EFT)–but only after an excellent fact-finding, relationship-building, excellent conversation & email exchanges about their German Genealogy Research. How we can command these sorts of retainers is simply because we can perform searches with analysis, data, documents & images that the above search engines & many other researchers simply canNOT perform! 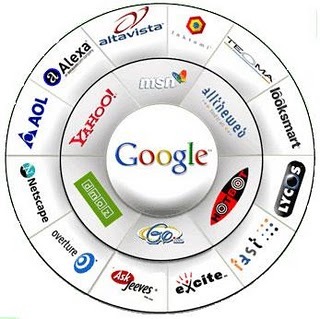 With our expert experience, we can be even more googly than Googlers at Google! Yes, using Google also, I perchance work independently for clients . FACTS & TRACK RECORD: Since 1979, Lynell & Karl-Michael Sala have found THOUSANDS of data, documents & images on ancestral family members for HUNDREDS of clients (paid expert consultative research) & patrons (volunteer FHC & private consultative work)! Our objective is to move that final “HUNDREDS” statistic into the “THOUSANDS” range. We’re not far. The retainer request amount is a mindset, but securing larger retainers for research does not happen very often. You see, most people actually & truly have thousands of $ of research that needs be done. The clients who have paid us large retainers ($1,000+) have never complained. The clients who gave us the most trouble are the ones who gave us the smallest retainers! Is there a message here? We are not in the welfare business & German Genealogy Research is not welfare! The advent of the internet causes many to say that “genealogy should be free.” OK, perhaps. But German Genealogy Research is not! Expensive? No, Ma’am. Expensive is when you spend 30 years just TRYING to find what we often find in one day! Some people spend thousands of $ just “visiting” Germany to just “see the land of their ancestors.” How would it be if we helped you find the specific village & introduce you to (historical images of data & documents of) your German ancestral family members? Lois Jurss paid me $1,000 for something I found within one day–the name of the precise Polish (actually Prussian at the time) village whence her target ancestor originated: Tirschtiegel, Posen, Preussen; now Trzciel, Poznan, Poland. Was she upset? Heck, no. She’d been seeking that data for over a decade! We seek more clients like Lois. After conversations & emails, a recent client paid an advance of several thousand $ for our team of German researchers. This, to get all over their German ancestry, genealogy & family history! We found pertinent data on each of the four lineages! One is inconclusive. The others are startling successes. The client via his office assistant had been trying in vain to do geographically dispersed genealogy research on their own. In frustration–along with a fervent desire for dual citizenship–they finally contacted me through this website. They subsequently called & emailed me from South Africa. I suppose there are not very many professional German Genealogists in South Africa who could effectively handle his difficult cases. We ascertained precisely which of several Hillesheims was the correct one. We then found one ancestor not in that parish, but rather a neighboring parish entirely. Thank goodness within the target parish of Hillesheim Kreis Oppenheim (not Daun), we found mention of the male spouse of another person by the same last name had come from that second locale–just 3 kilometers down the road! Well, that now becomes a research hypothesis that will require some further on-site research. Priced any flights to Germany lately? After that case, we then scoured & exhausted the difficult records for the parish of Schakuhnen or Schakendorf (depending on who’s doing the writing & when). Specifically, but along with other Doerfer (villages) within that parish: Luttkomanscheit, et var., which we ascertained was once known also as “Luttken.” All were once a part of Ostpreussen or East Prussia, but are now in Lithuania, a former Soviet Socialist Republic. If you ever published anything, you know what I mean when I say: Most of the ready-for-publication research is digitized, cropped, enlarged, analyzed, reported on, tweaked & uploaded by numerous specific family- & surnmame-oriented research reports on–oh, gosh–two different Mueller lines (Germany & Poland); Schwellnus/Szwelnus. Just since Memorial Day 2010, my research director wife & I, Karl-Michael Sala aka GermanGenealogist.com have cracked 6 cases in 6 locations! To take the analogy yet further, we have extended beyond the crack & have gone much deeper in quantity & quality! Texas Maid Service dumps all other advertising in favor of Google Adwords! Got Castles? Want Castles? OK, German Castle etchings or images? Karl-Michael Sala aka GermanGenealogist.com gets 66th endorsement on Linkedin.com for German Genealogy!